She was one of those clever enough and charming girls born, as though fate had blundered over her into a family of high achievers. She had no natural genius, no means of getting known, understood. She took as many advanced courses as her ability and her advisors would allow, but she was as unhappy as though her schedule were beneath her; for students of her caste and class believe that the number of advanced classes is the only mark or rank of note. She suffered endlessly, feeling herself born for better things—for advanced calculus and physics, for advanced art history and language, most importantly for admission to a highly selective college. She suffered for the poorness of her schedule, for her classmates who were also bright but not brilliant, for the meanness of her curriculum—reading Othello rather than Hamlet, Twain rather than Hawthorne. The sight of students taking even lower classes and applying to local or state colleges aroused heart-broken regrets and hopeless dreams in her mind. She imagined ivy covered walls, vast saloons hung with antique silks and rare volumes, exquisite dorm room furniture and individual thermostats created just for ragers with intimate friends, classmates who were sought after, whose homage roused every other woman’s envious longings. When she sat down for class with her pre-calculus rather than a calculus book, her classmates exclaimed delightedly: “Ah, trigonometric identities! What could be better?” she imagined double integrals and students with inscrutable smiles discussing Herodotus and the Persian Wars. She had no soccer trophies, no student council victories, no positions of leadership, nothing. And these were the only things she loved; she felt she was made for them. She longed to charm, to be desired, to be wildly attractive and sought after. She had a classmate who had been admitted early decision to a highly selective college. 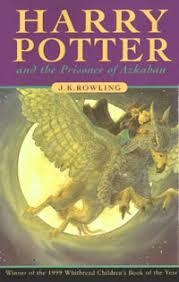 She refused to visit with the classmate because she suffered so keenly when she returned home. She would weep whole days, with grief, regret, despair, jealousy, and misery. One afternoon her mother came home with an exultant air, holding a large email in her hand. “Here is something for you,” she said. Mathilde attended the Second-Tier-but-not-Second-Rate College. But she did not enjoy herself. Not did she enroll in any courses in which she had a sincere interest. She worked endlessly, beyond her capacity, eschewing genuine interaction with classmates or professors, interested only in her grades and whether or not the information in the lecture would be asked about on the exam. She avoided authentic collaboration with classmates, viewing them as competitors for scarce graduate school admissions opportunities rather than companions on a shared journey. When she was admitted to graduate school, she uttered a cry of delight, but her enthusiasm was short lived. Again she stayed in the library studying until closing time, her infrequent breaks for speed beer pong and one-night stands with young men whose imperfections and names she chose not to remember. Upon graduation she got a job in a large law firm, putting in 90-hour weeks. Even when she made partner she continued her unrelenting toil, ignoring opportunities for romance, marriage, family, or connection of any kind. “Yes, I have had some hard times since I saw you last, and many sorrows. And all on your account,” Mathilde said. “My fault, how?” Her friend replied. 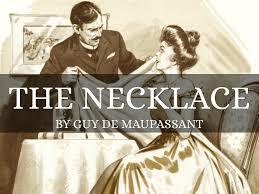 To reread the original Guy de Maupassant from which the above is unabashedly pilfered, click here.